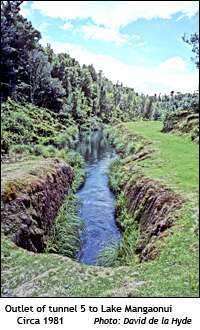 I am not sure where this channel is - it could be the input of diversion tunnel 5. From memory, the water level controller acts like a ballcock found in toilet cisterns. The steel cylinder seen at the bottom of the controller floats on the surface of the canal. 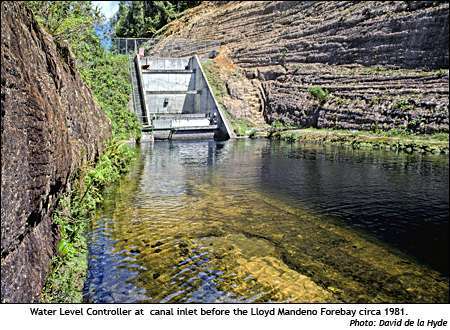 By a series of chains and levers it opens and closes the outlet gate from tunnel 6 to the canal leading to Lloyd Mandeno Power Station's forebay. The water in the canal attains a reasonably constant level and thus the power station has a constant operating head. 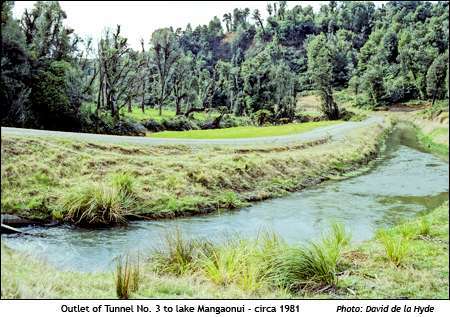 The outlet of diversion tunnel No. 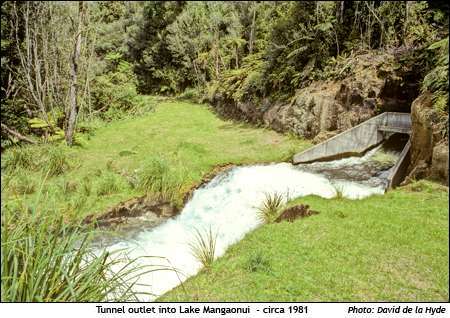 5 into Lake Mangaonui before the construction of the Kaimai 5 station.